Whatever your style, whatever the size, we’ve made space for you to celebrate your way. If you’re planning on a more intimate gathering or if you’re just not expecting a large crowd, reserve your private party at Nook Mosaic. It’ll be a bit like throwing a party in your family room, only no clean up at the end. 3 hours private use of Nook Mosaic from 3-6pm, including set-up and clean-up time. Max of 20 children ($10/additional child 5y and under). Max of 60 persons total. If you tend to think BIG when it comes to celebrations, then a private party at our flagship location at Ballston Quarter is the one for you. Fill in all 3,500 square feet of play and party space with your biggest celebration yet. You won’t regret it. 3 hours private use of Nook Ballston Quarter from 3-6pm, including set-up and clean-up time. Max of 30 children ($10/additional child 5y and under). Max of 90 persons total. If you’re more of a day-time party person, choose one of our mid-day semi-private parties at our Ballston Quarter location. 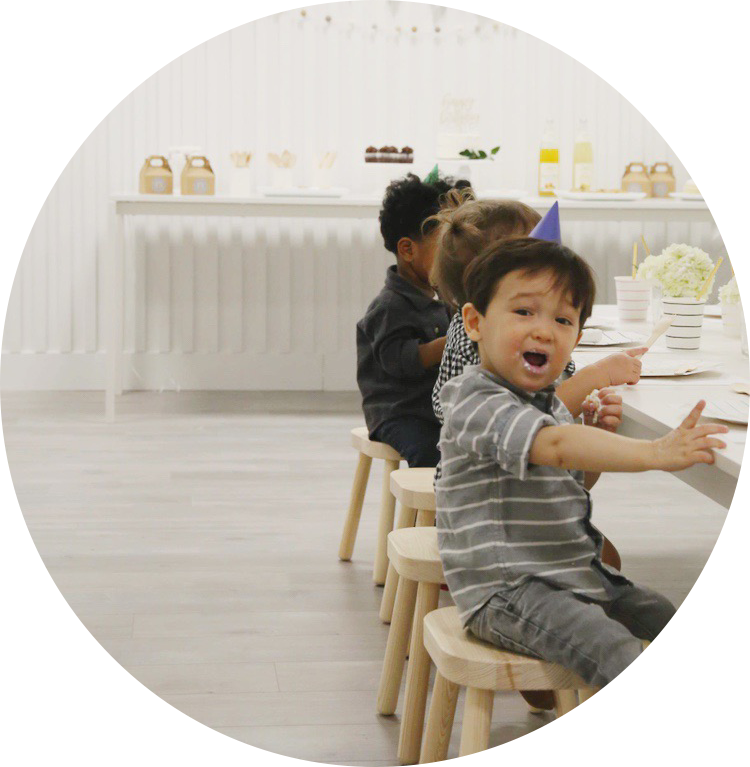 You’ll have private use of one of our party rooms, and you’ll share the play space with other Nook guests who are sure to make the celebration merrier. $240, plus $20/child 5y and under. Max of 10 children, 30 persons total. For private parties, a non-refundable 50% deposit is required to reserve the date. For semi-private parties, full payment of the base rate of $240 is required to reserve the date and time.